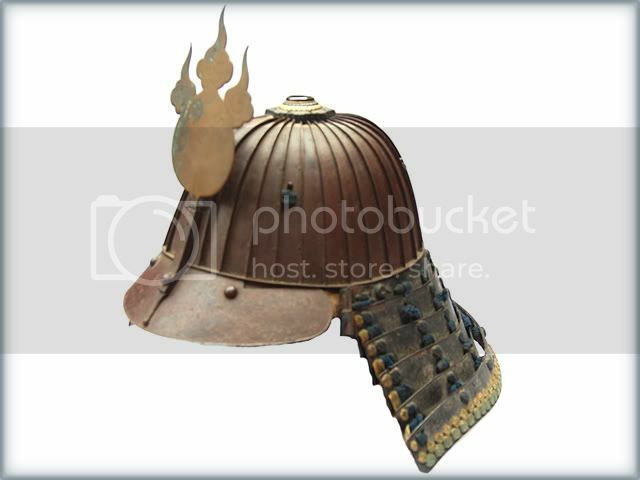 The Kabuto helmet was the traditional armored headgear of the Japanese Samurai. This pattern helmet features a strong bowl, which is called the "hachi" and was meant to protect the crown of the head, while a suspended series of articulated plates ( called the "shikoro") were present to protect the wearer's neck. 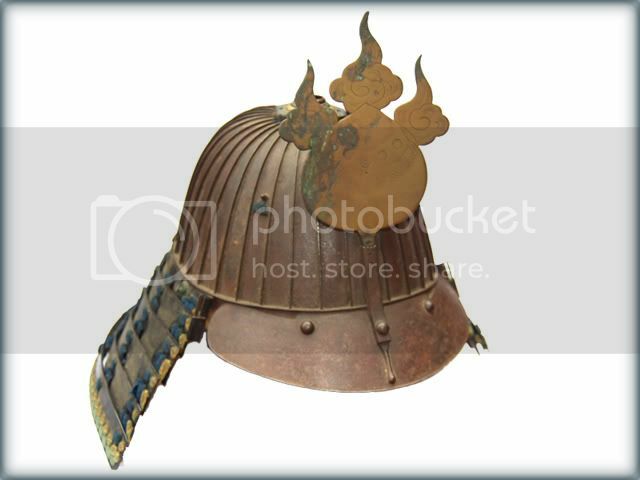 These helmets typically featured a crest of the clan, which is called a mon. 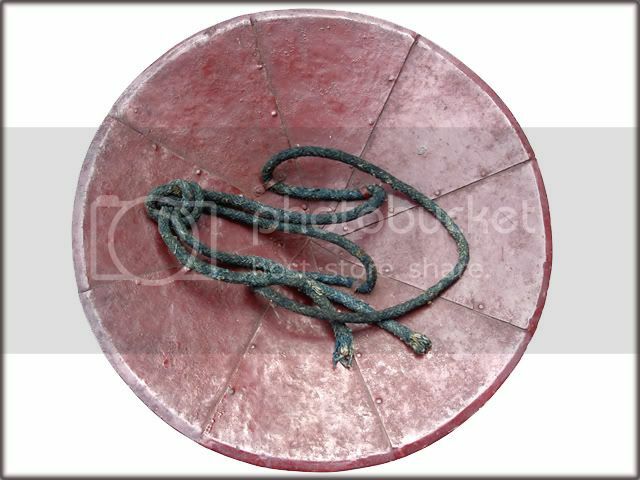 This example features 32 plates, and likely dates from the first half of the 19th century. Originally used by Samurai as a peacetime helmet, the Jingasa (samurai hats) were used from the middle to late Edo Period (1700-1860). The word "Kasa" meaning hat and "Jin" military. 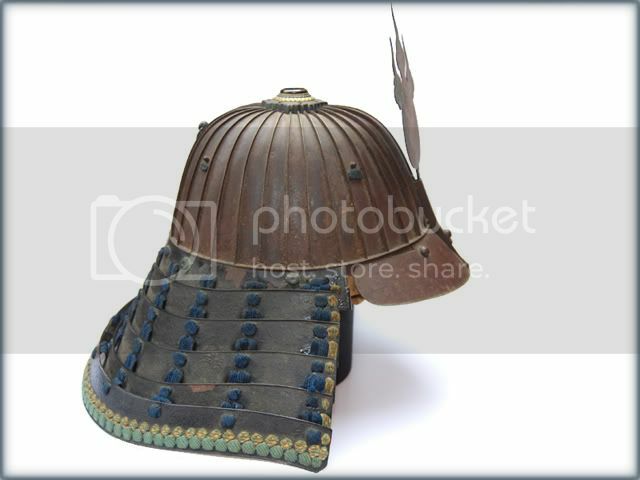 As the Edo period was a period of peace, Kabuto helmets were used less and Jingasa became more popular. 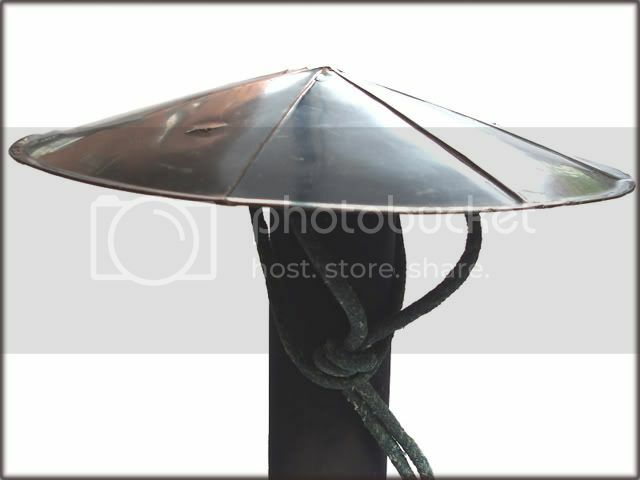 The function of the Jingasa was still the same as for Kabuto, but with less accent on protection against arrow or sword, but from rain or sunshine, and to give an accent on the other aspects of "Samurai's daily life in times of peace" like: Police duty, Hunting, Riding etc. next to showing the Samurai's social status. In the late Edo period, also known Bakumatsu Period (1853-1868), the Jingasa was not restricted to use by a Samurai. 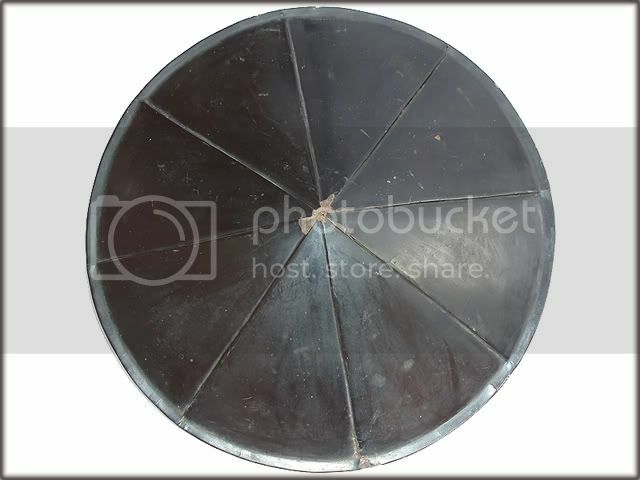 It was commonly used by the clan armies, notably during the Boshin War (1868-1869), when these pattern Jingasa helmets were used by the Aizu rifle corps.